Welcome! 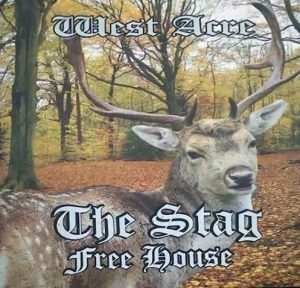 The Stag is small and cosy family run ‘Free House’ pub situated in the centre of the village of West Acre, in the heart of Norfolk. There are always at least 3 quality real ales on tap and these are changed regularly. Food is served daily (except Sunday night), with the varied menu consisting of freshly cooked home made dishes, using fresh locally sourced ingredients. We host a monthly pub quiz on the 3rd Sunday of the month.